5036 Mangifera indica - Hoaloc, Cat Hoa Loc Mango, Grafted ? 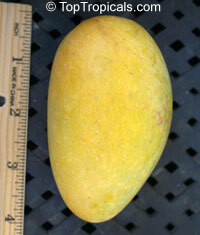 Very rare, Exotic mango variety from Vietnam. Spellings: Hoaloc, Cat Hoa Loc, Haoloica. The fruit is fiberless, oval yellow, with very thin seed. It is a rare, collectible variety. Among Vietnamese mango cultivars, Cat Hoa Loc is the most popular cultivar because of good appearance, texture, taste, and flavor. Its production ranks the first among commercial mango cultivars in Vietnam. The Vietnamese Government supports the expanding of the production area for Cat Hoa Loc mango. 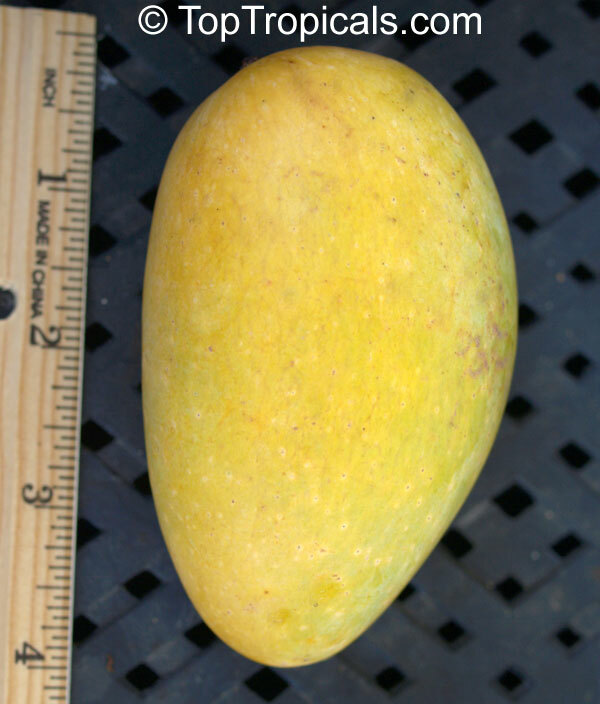 At the mature green stage, Cat Hoa Loc mango fruits usually turn to full ripening within 4-5 days thereby limiting distribution and marketing options.